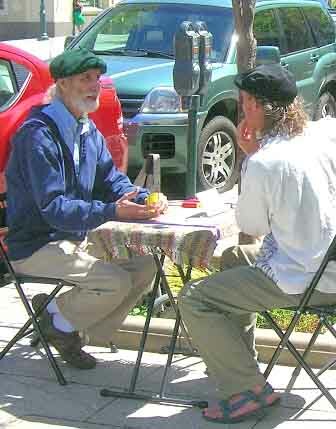 This area is for information about the formation, development and maintenance of Empathy Teams, Free Listening and Empathic Listening initiative, which are individuals and groups with the goal of going to different locations and offering presence, listening and empathy to those who need or want it. What are good approaches for setting up and maintaining these teams? Various individuals and groups are doing this in different forms. Let me know of any other efforts like this. 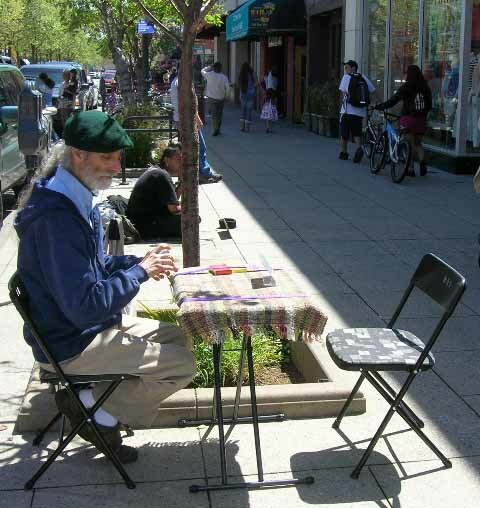 (In the 2 photos on the right, Bar offers Edwin some listening and deepening empathy). At a recent heated demonstration in Oakland, I was part of one such team and came across several other groups there with similar intentions. 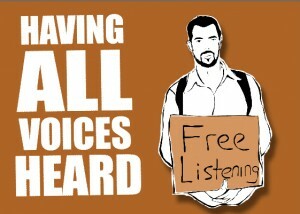 Free Listening Project provides listening in a place free from advice, cost, and gossip. The premise is simple we listen. 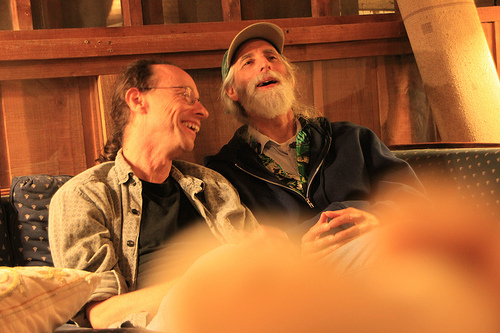 Started in January of 2009 the inspiration for Free Listening came after Mike was profoundly impacted by the power of listening. We believe that everyone deserves to be heard. Being heard without judgment or advice creates a space for self-evaluation, acceptance and sometimes, self-intervention. We listen with no expectation of an outcome or personal gain. 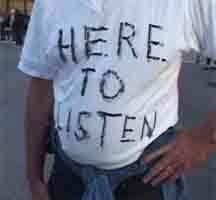 We listen so that others may feel listened to. 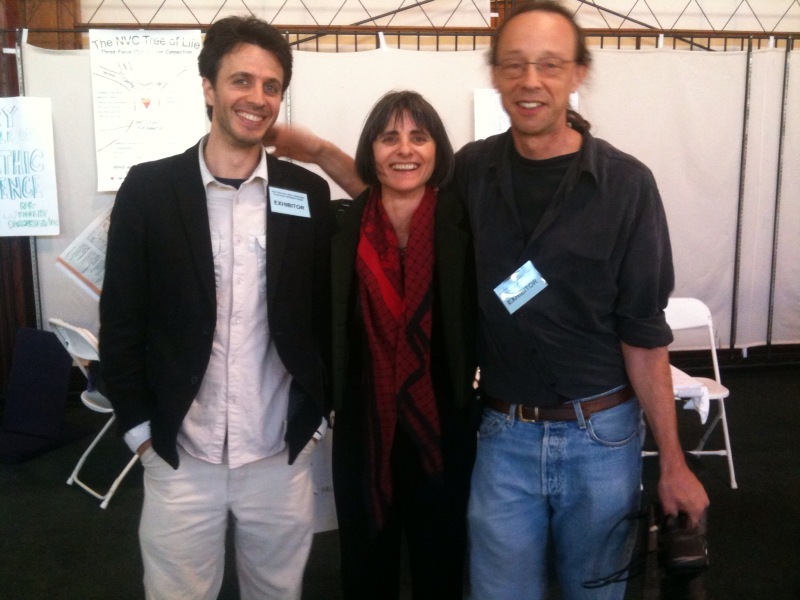 I've been part of an Empathy Team located in the Berkeley, California area. Here's more information about this team. 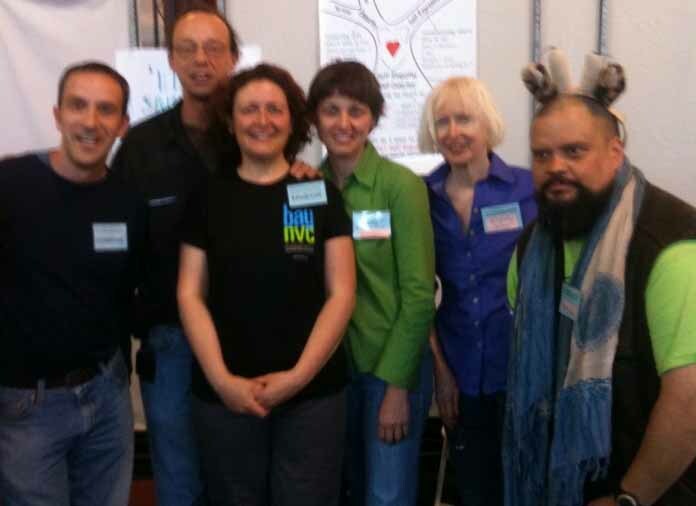 This team is initiated and supported by Bay Area Nonviolent Communication. We’re here as a team offering to give people an experience of empathic presence, and offer resources and support for anyone who wants to learn more about the quality of empathy in their own lives. 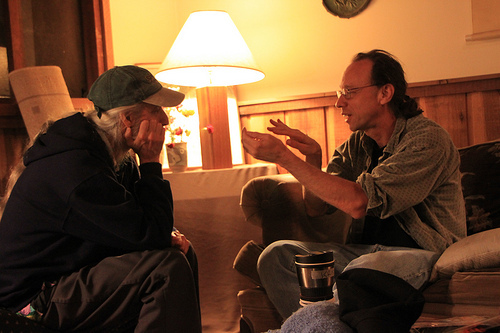 We’re also here to promote the practices of empathy, mutual understanding, and nonviolent communication - as a transformative force in creating the world we want for ourselves and for future generations. Lea, Honey Bear and Judith all like: An empathy team is a group of people that deliberately spends time together providing empathic presence to one another, and to others not on the team. We envision a global culture of empathy, in a world where people experience the joy of being connected to each other and interconnected with all life. 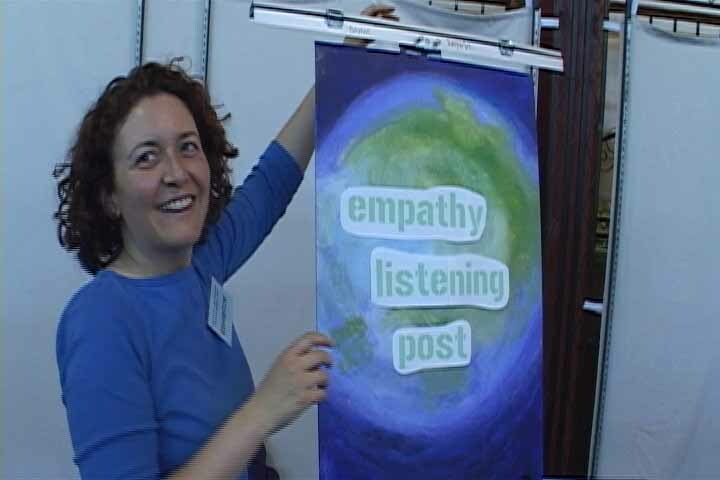 Give people an experience of empathic presence, and offer resources and support for anyone who wants to learn more about the quality of empathy in their own lives. A rally was held in Walnut Creek, California to support the BART Police Officer, Johannes Mehserle who was convicted of shooting Oscar Grant. A counter rally was also held and a heated confrontation between the two sides ensued. I went to talk with participants on all sides about their views and experience of the value of empathy. See the video. 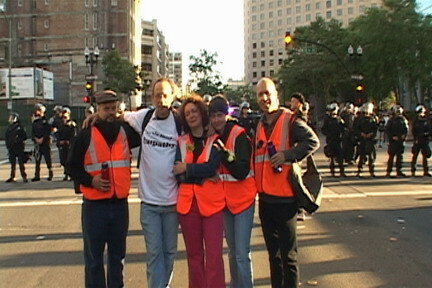 The Empathy Team and others from BayNVC just returned from downtown Oakland and everyone is OK. Edwin stayed to nearly the bitter end, filming people, asking them what empathy meant to them, while they were getting poked by police batons in their backs. Katz said she talked supportively with anti-riot police deployed to the protest, some of whom, besides being taunted, spit on and pelted with rocks and bottles, were soon to be laid off because of the city’s budget shortfall. “They need empathy too,” said Katz. Edwin Rutsch is videotaping all kinds of people in political hotspots and asking them for their views about and experience of empathy. 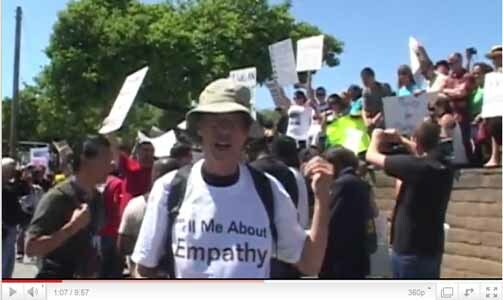 Today he is at a pro-Johannes Mehserle demonstration in Walnut Creek, an outlying Bay Area suburb. Is it possible for one city to become a model for restorative justice? Miki Kastan facilitated a special class for people whose heart is drawn to Oakland as the verdict of the Oscar Grant/Mehserle trial nears. A group of us are preparing to offer an empathic presence in downtown Oakland after the verdict is announced. 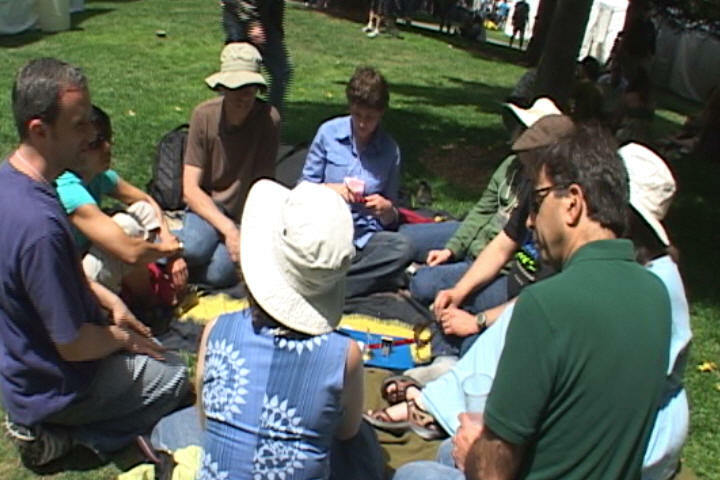 On Sunday, June 6th, the Empathy Team deployed at the annual "Israel in the Gardens" festival in SF. Every year, Israel in the Gardens takes place to commemorate Israel's independence day. Every year, it draws thousands of visitors and is a magnet for protests.